Last semester was really tough for me, academically and personally. I knew that I could count on my friends for emotional support, but there's just something about seeing a professional that makes a big difference. A friend of mine recommended that I try therapy, so a few weeks ago, I took a chance and made an appointment. Wait, why are you telling us this? Because I think it's important. Even though it may seem like it, I'm not always okay and I'm finally at a point where I'm not afraid to say that I need help. If anyone isn't feeling too good mentally or emotionally, it's helpful to see someone who's going through the process (das me) as a reference. My counselor is an incredibly wonderful woman who works for my university and is an HBCU grad (ayeee). We talk about my goals for the future, time management, my issues with anxiety, and passive-aggressive behavior. Once a week for 45 minutes, no judgement, no harassment, we just sit and chill. 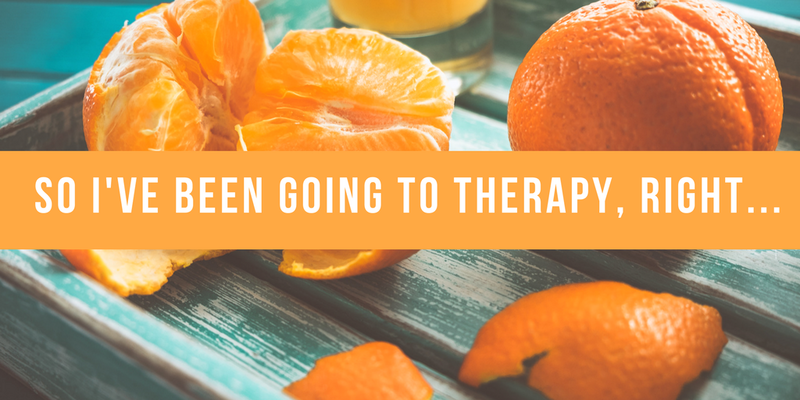 To be honest with myself in a judge-free zone is what makes therapy worth it. I don't just want to feel better in the moment, I want to acquire the tools necessary to express my emotions and voice my concerns. If you're in need of some serious help, or just want to make sure that you stay on the right track, I highly suggest seeing a professional. If you're in college like me, then you can probably receive this service for free. Confronting my demons isn't easy, and actually making a change is even harder, but I value myself enough to put in the work to make it happen. Hopefully, you do too.